Professional truck drivers sometimes have to take late shift or work long hours. Naturally, during this time, it’s all too easy to become tired and worn down from the exhaustive shift. So what do you do to stay awake? Truck drivers have their own personal method for staying awake. Whether it’s singing at the top of your lungs, rolling down the window for some fresh air, or other funky tactics. However, one thing is common – we all drink some sort of an ‘energy drink’. 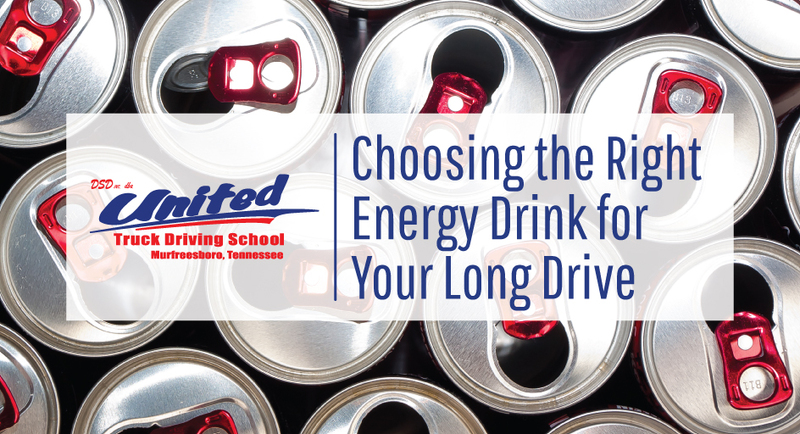 So, which type of energy drink is best? On top of the energy boost contained in one cup of coffee, it also provides a variety of health benefits. Because it is cheap and easy to get your hands on, coffee seems to be the most popular choice of energy drink. Be careful, however, and don’t over do it with coffee or espresso drinks. Too much caffeine can cause adverse effects, such as crashes in energy or feeling worse off afterward than when you started. As always, moderation is key, and be sure to drink coffee paired with healthy food choices to balance yourself out. On top of this, energy drinks almost always result in energy crashes fairly soon after the spike, leaving consumers feeling much worse than they did before consumption. Instead of opting for a chemical filled sugar rush, consider drinking regular water, as this is the best form of natural energy you can find! Your best bet on staying alert and awake on the road is to regularly consume water. Not only does water hydrate your body, it also is a natural energy enhancer! It is in your best interest to choose to drink water each day. Instead of consuming high amounts of caffeine and experiencing the side effects, consume water all day for the best results. Of course, pairing it occasionally with a cup of coffee is perfectly fine, just be sure you are not exceeding your doctor’s recommendation of daily caffeine. To learn more about becoming a professional truck driver, get on the road to success with United Truck Driving School in Murfreesboro, TN.